From drone to free jazz and baroque: the members of the Stockholm three piece Swap Babies have widely diversified approaches to music. But when together, the combination results as a heavy and rhythmic shoegaze. Their 2017 12” record, Furnished Man, delivers a torrent of poignant riffs, modulating guitar feedback and enveloping vocals. 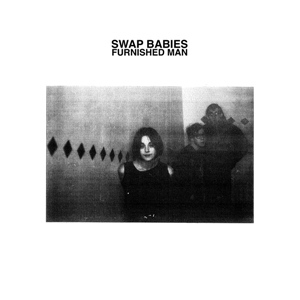 American musician and composer Kali Malone fronts Swap Babies. Known for her intricate guitar tunings and minimalist electronic music (presented by the likes of Berlin Atonal, Norberg Festival, Ascetic House and Total Black), she contributes the embracing wall of guitar harmonies and intimate vocals arrangements. On drums there’s Konrad Agnas, one of Sweden’s most promising young drummers moving between free jazz and pop music. Bassist Adam Grauman stands with one foot in punk and the other in baroque music, currently devoted to the viola de gamba, he’s also been featured in Malone’s contemporary classical compositions.